Things are getting serious enough for Kaido to finally put on a shirt! Like it or not, here we are Wano! That wording got a chuckle out of me. Definitely one of my favorite chapters of Wano so far, maybe even my overall favorite. All three of the scenes were good and juicy. The Big Mom pirates are the wild card element I needed in this arc. 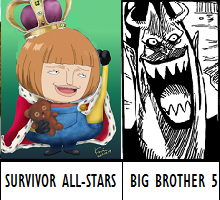 Stawhats vs. Kaidou vs. Big Mom is so much more interesting than just Strawhats vs. Kaidou, especially since Mom could potentially ally with either side depending on what Oda wants. 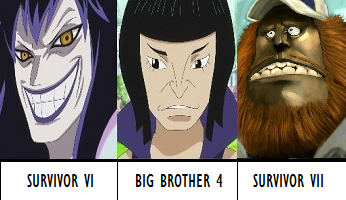 B-but Cracker and Urouge! On dolphins!